Londoners have been advised to "think like a burglar" by the Metropolitan Police to reduce break-ins. Operation Bumblebee, which was last in action in the 1990s, has been revived with 80 officers tackling burglaries. 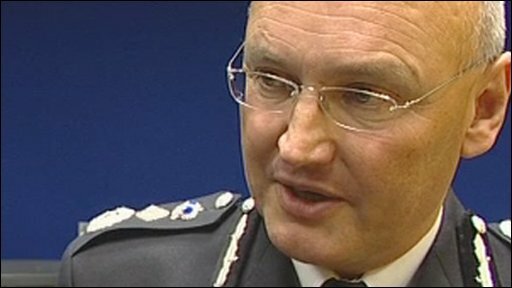 Commissioner Sir Paul Stephenson pledged to crack down on burglars after a 9.7% rise in thefts in London. London Mayor Boris Johnson, who has had seven of his bikes stolen in the past 10 years, said burglary made people "fearful in their own homes". The Met will publicise the campaign with the slogan Think Like a Burglar at bus stops, Tube stations and in other media campaigns. The Met said it had formed two specialist squads of 80 officers who had already arrested 584 people suspected of being involved in burglaries in the past few weeks. It said undercover officers' activities have also been increased. Sir Paul said: "I am not pleased about the fact we have to do this because we are seeing an increase in burglary. "I personally believe that the effects of burglary are so much more significant than a loss of property. "We will ensure that those involved in this type of criminal activity - from those breaking into homes, to those selling stolen goods, will be directly targeted." Mr Johnson, who took his bike to be security marked at the launch event, said: "I do not for a minute believe it is a fail-safe solution to bike theft. "But we must do everything we can to frustrate people who want to take away our property. "Burglary... makes them fearful in their own homes," he added. According to the latest Met figures, between April and September 2009 residential burglaries rose by 9.8% to 29,448. However the rate is not as high as it was in 1992.